A perfect smile or lack thereof can influence self-esteem and confidence, which affects many aspects of our personal and professional lives. The decision to see a dentist for clear braces will change your life but it’s a process which will impact your everyday life for a while. It’s important to understand exactly what you’re getting into. To start, book an initial consultation; ask if this first consult is free because not all dental clinics offer this as a complementary visit. This is your opportunity to ask all your questions about how the treatment works, how much it costs and how it will affect your day-to-day life. It’s a good idea to write down all your questions before your dental clinic appointment to make sure you don’t forget anything. It’s also during this visit your dentist will assess you to confirm you’re a good candidate for the treatment. This initial visit should only take between 15 and 30 minutes. If both you and your dentist agree clear braces are the right treatment for you, you’ll go back for another visit during which the dentist (or more likely his or her assistant) will take records of your teeth through photographs, x-rays, dental impressions and a bite registration. These are just routine procedures and chances are you’ve had similar records taken in the past so there’s nothing to worry about. This appointment usually takes between 60 and 90 minutes. Confirm payment policy for these records prior to your dental clinic visit to avoid any surprises. Following this appointment, your dentist will complete a prescription form which will be sent to Align Technology Inc. (the creators of Invisalign clear braces). This form provides the information necessary to turn your impressions into digital information, which will then be used to create an on-screen 3-D model of your teeth and animate the sequence of tooth movements necessary to achieve your perfect, straight smile. Different stages of this sequence will correspond to a different aligner. Your dentist will evaluate and approve (or request changes to) the animation. Align Technology Inc. will then make dental casts modeled against each of the required stages of the animation, which will then be used to create a series of aligners. These steps typically take between four to six weeks but it can vary. 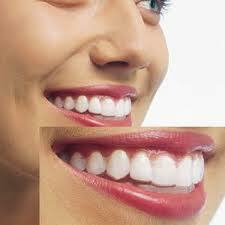 Once your dentist receives your clear braces, he or she will book you for another dental clinic appointment to receive your aligners and learn about: how long you have to wear them each day; how to care for them and maintain proper oral hygiene; and when you need to switch to the next aligner in the series. Follow-up visits will also be booked at this time. The length of the overall treatment depends on the number of aligners required to achieve results, and how long each aligner must be worn. The average case takes about 12 months but it can take less time and in some cases two to three years.